As fashion icons Marlene Dietrich, Katherine Hepburn and Annie Hall have transmitted the desirability of a woman dressed as a man, and every so often we see inevitably inspired fashion editorials. 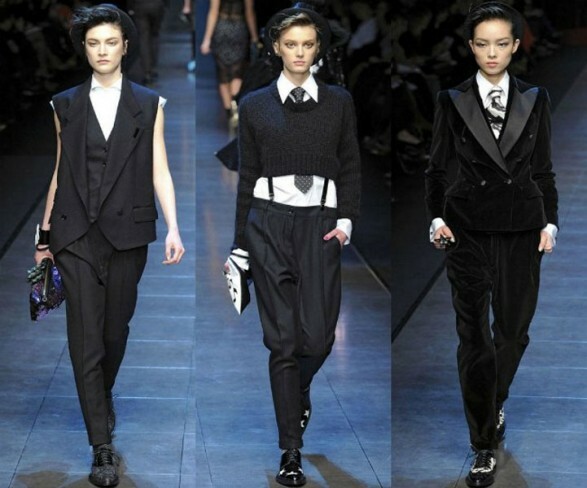 And this 2011/2012 autumn-winter designers turn to give a new twist on a trend that is always welcome (at least for me). 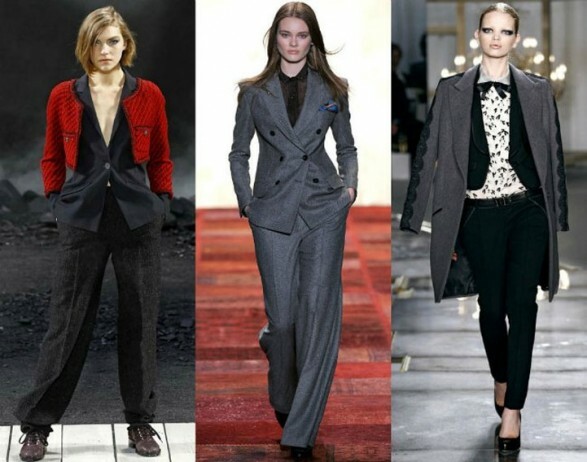 Other gateways as Jason Wu, Tommy Hilfiger, Paul Smith and Chanel have been tailored coats, jackets or shirts for men whom any woman can have its men’s clothing without having to raid the closet of your girlfriend. If you had the soul since childhood tomboy and hated the bows, this is your chance to get even. The yin and yang, male or female, The mixtures are the best opportunity to succeed in fashion and most stylish women I know. A wide-brimmed hat, a shirt, loafers, flat booties or a haircut to garçon and you’re sure goal Shadow Hunters street style. Besides removing the garments to our boyfriends and husbands (something we adore, but they hate), the stores offer us many possibilities to create the perfect male wardrobe. I love the oversize coats, jackets, smoking type, shirts tied at the top and shoes laces. In your closet can be little more men’s clothing than you think, as shown in Zara. Handle retrieves three-piece suits vest for a 20′s gangster look refreshed and refined, which look stylish and professional at work.